The TruMatic 6000 fiber works on a new power class, using all advantages of a solid-state laser. A high feed rate in thin-sheet and a large variety of materials are only two distinguishing features for its efficiency. Due to dynamic drives, this punching and laser machine combines high cutting speeds with 180kN punching force at a stroke rate of 1000 strokes per minute. 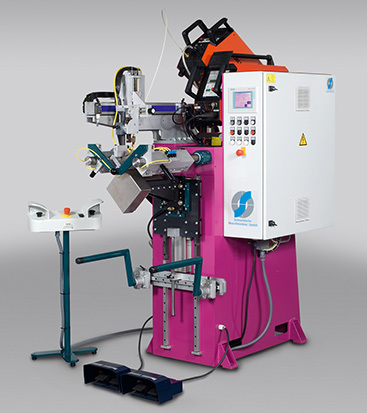 CORNERWELD corner welding machines have been developed for welding of plates in a 90° joint. Precise clamping technology with cooling and shielding gas supply combined with a convenient machine control for control of welding cycles ensure high-quality corner welding seams. This way we ensure a steady quality management and meet our efficiency standards.